Let Image Graphics be your Orlando print shop. We can take your business to new heights. You have big goals, and you need commercial printers that will elevate your promotional and marketing materials to the next level. Whether you know exactly what you need or don’t even know where to start, our staff is here to help you through the entire process from beginning to end. With over 30 years of experience printing in Central Florida, we are your trusted Orlando print shop for printing services, custom signs, and apparel. You take pride in the quality and value you provide to your customers and we want your strategic partners to do the same. Our staff of print and branding experts are only a phone call away from the quality customer service you expect. 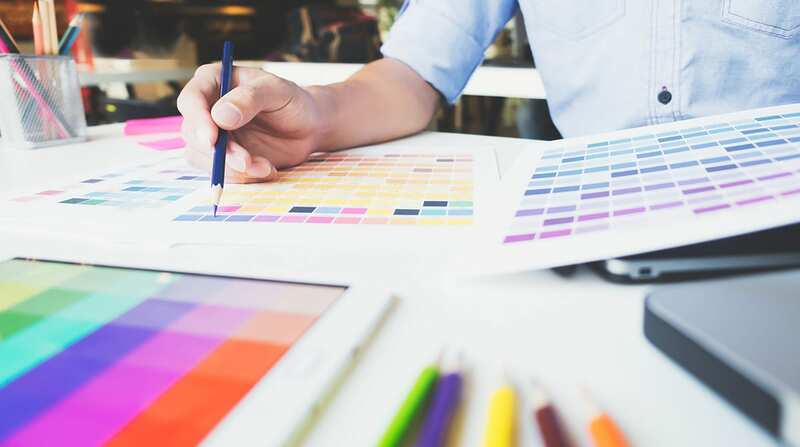 From all projects big and small, we are your Orlando print shop can help you with printing services, promotional apparel, signs, and more at a competitive price. Signs are the best way to make you stand out in a crowded space. No matter where you need a sign, we have the right product for you. We offer everything from custom printed signs on poster board to giant monument signs and everything in between such as window graphics, banners, and vehicle signage. Whether you know exactly the type of sign that’s right for you, or you need assistance from square one, we can help. Dress everyone in your company for success with custom shirts, uniforms, scrubs, hats, and embroidered polos. We’re even your local source for custom T-shirts in Orlando. Our team can create the perfect fit for all your apparel needs. Our Orlando print shop is a one-stop-shop for your next trade show. Whatever you need to dress your booth, we can handle from custom made signs and banners to promotional products, and brochures. We’ll even deliver right to your Orlando based tradeshow site. Unique promotional products build brand loyalty and make a statement in ways a piece of paper can’t always do. Imagine handing out personalized pens, logoed cell phone accessories, or a coffee mug with your company logo on it at a large tradeshow or event. Ready to Get Started? Tell Us What Printing Services You Need & We'll Get To Work! We know your time is worth a lot. Don’t waste it using cheap online printing alternatives. Contact us today for a custom quote and work with a family owned Orlando printing company with over 30 years of experience that is as invested in your success as you are.